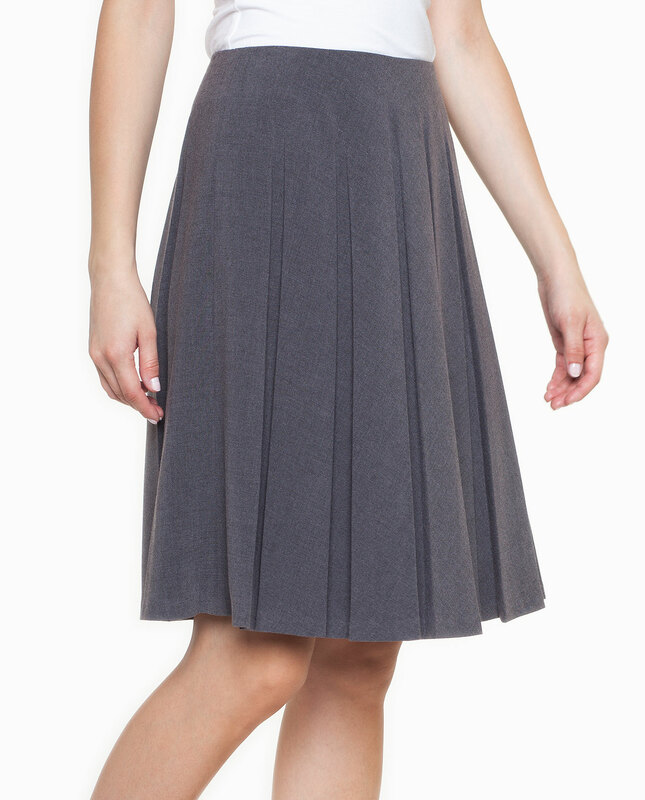 A grey pleated skirt. The skirt has a lining and a hidden side zip. Classic cut and colours prove successful on many occasions, both as casual and professional wear.